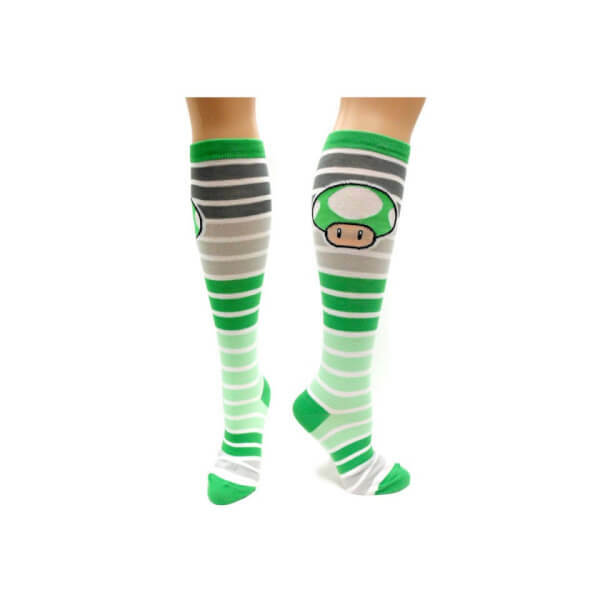 These Mushroom Striped Socks feature the 1-UP Mushroom from Super Mario. Great little product which I picked up in the November sale - rating would likely be much lower if I had to pay full price, which is a bit steep for a pair of socks. Very colourful, my girlfriend loves them.